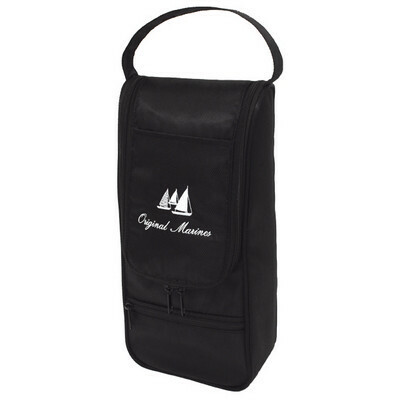 Zipper closure with inside separator, Silver lining, One front open and one zippered pocket, Hand carry handle and Holds 2 bottlesProduct Materials: Textured nylon with high quality foam insulation. Item Size: 15cm (W) x 33cm (H) x 9cm (D). Colours: Black.